EU leaders stuck to their guns on Wednesday (30 January), insisting that the Brexit Withdrawal agreement rejected by UK MPs would not be renegotiated. The day after the House of Commons voted to tear up the controversial Irish backstop which seeks to prevent a return to a hard border between Northern Ireland and the Republic, EU leaders and MEPs kept to their message. On Tuesday evening, UK MPs voted by a narrow majority to re-open talks on the Irish backstop and instead agree on ‘alternative arrangements’ to avoid the return of a hard border. But they also voted against amendments that would have sought to extend the negotiation process, leaving the UK with less than two months until it formally exits the bloc on 29 March. The deal struck in November but rejected by UK MPs earlier this month, was “the best and only agreement available,” European Commission boss Jean-Claude Juncker told MEPs in Brussels. “The debate and votes in the House of Commons yesterday do not change that”. That message was repeated by Michel Barnier, the EU’s chief negotiator on the talks. “We are open to alternative arrangements for the future, but right here and now no one can say what form those will take. We need this backstop,” Barnier said. 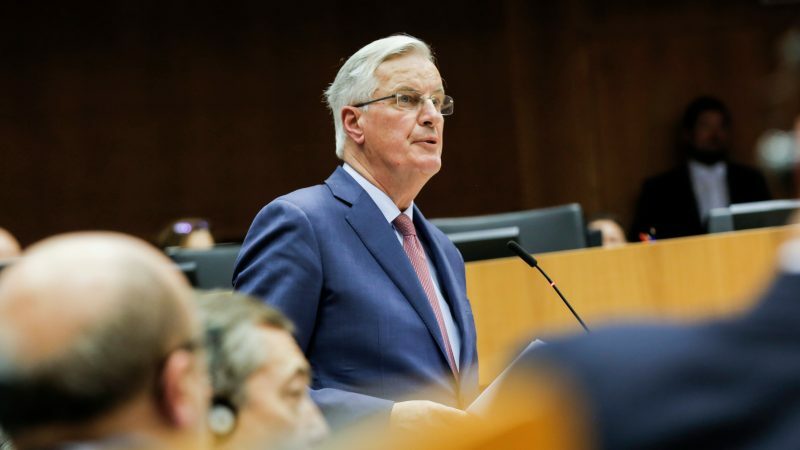 “The Withdrawal Agreement remains the only way for the UK to leave in an orderly manner,” Barnier told MEPs, adding that MPs in Westminster had increased the chances of a ‘no deal’ scenario despite backing an amendment stating that they would oppose it. “Voting against a no deal does not rule out the risk of no deal,” said Barnier. In a fractious debate in the EU assembly that was dominated by heckling, MEPs from across the political divide united behind the Commission stance. “A breakthrough is only possible is Theresa May’s red lines change,” said Guy Verhofstadt, who chairs the cross-party Brexit Steering Group in the European Parliament. Last week, the Steering Group said that MEPs would not ratify any Brexit deal that does not include a backstop for the Irish border. That stance has also been repeated by member states. “Our position is clear: the withdrawal agreement is the best and only solution for an orderly exit,” said German foreign minister Heiko Maas. In London, meanwhile, Theresa May held her first meeting with Labour leader Jeremy Corbyn for talks which were described as a “serious exchange of views” by a Labour spokesperson. May is expected to return to Brussels before the end of the week but has a very tight window in which to obtain new concessions from the EU before MPs vote on a revised deal on 13 February. That makes a ‘no deal’ scenario seem more plausible than ever. Therefore, the Commission has accelerated the preparations for a disorderly withdrawal of the UK from the EU. “I have sent a team to each capital to help the Member States to get ready,” Juncker told the Parliament. 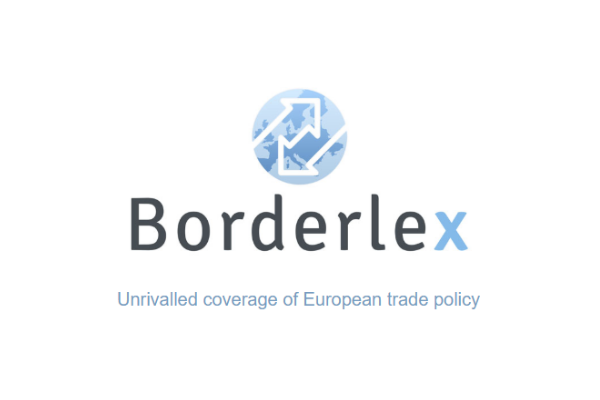 “It is urgent to prepare for all scenarios and necessary to implement contingency measures more than ever,” Barnier agreed. The College of Commissioners adopted on Wednesday (30 January) a set of measures aimed to protect students currently participating in the Erasmus programme on both sides of the channel; social security rights for EU citizens living in the UK and the completion of the 2019 budgetary plan. First, the Commission has committed itself to ensure that the 14,000 young people from the EU27 in the UK and 7,000 British participants in the European countries that are currently participating in the Erasmus programme will be able to complete their studies, even in case of no deal. Second, EU executive will ensure that EU citizens that have been living in the UK before the 29 March are entitled to the social rights they have acquired until that date, once they go back to their countries. All 27 member states will have to comply with this measure. Third, the Commission will propose that the UK honours its financial commitments for 2019 in the event of a disorderly withdrawal from the EU. The British would have to contribute to the EU’s 2019 budget and be subject to the jurisdiction of the European Anti-Fraud Office and the Court of Justice. This measure aims to mitigate the effects of a no deal Brexit for British beneficiaries of EU funds. The EU would give the UK two weeks after Brexit, until mid-April, to make a decision so that the Commission itself can present an amended budget for the year, in case the British government refuses to contribute. If the UK leaves in a disorganized way, the EU executive would need to calculate how much would that cost, EU officials warned. The objective of the contingency plan “is to allow the 2019 budget to be executed,” they explained. Even in case of ‘no deal’, the EU and the UK would need to agree on a financial settlement, EU officials pointed out. This would make life easier for British researchers and farmers. To avoid a potential revolt, and to solve the current chaos and deadlock, Mrs May appears to be tactfully manoeuvring towards a 2nd referendum with the choice: 1) a no-deal Brexit, and 2) a Bremain, knowing that the majority of the UK people is moving towards Bremain. A) 700.000 old Brits (mainly Brexiteers) die every year and 700.000 young Brits (mainly Bremainers) get voting rights. B) Young people were apathetic regarding voting in 2016 but not anymore. C) At the 1st referendum 2 ½ years ago, the difference between Brexiteers and Bremainers was only 1.3 mln. The EU is in favour of Bremain and has already indicated their willingness to extend article 50 in such case.